I finally decided to try E.L.F. 's Cream Eyeliner ($3.00), from their studio line. I don't know why it has taken me this long because, I love cream eyeliners. I love their smooth texture and, it doesn't hurt that they are super easy to apply. Well, for me they are. I actually prefer cream eyeliners over liquid eyeliners just because cream liners are much less messier and, there is a little more room to work with them before they completely set. The liquid eyeliners that I have encountered always set right away so, if I mess the line up, or it isn't to my liking, I would have to go back and re-do my line over again. Not fun! But, that's not to say that I wouldn't use liquid eyeliners. I definitely do from time to time. Cream eyeliners are just my preference, though. E.L.F. 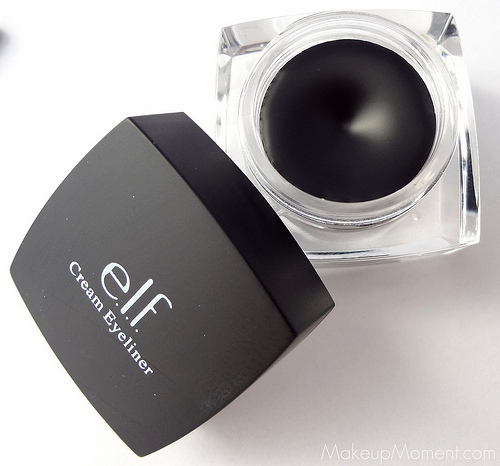 's Cream Eyeliner in Black comes housed in an attractive, plastic jar with a screw on/off top lid. Also included was a small, mini-angled, eyeliner brush. I was surprised that I actually liked the brush as much as I did. The brush hairs aren't flimsy, but they are not super stiff, either. Its really comfortable to use, making the brush a good option to bring along when on the go. Although the mini brush is nice, I prefer to use my much smaller and finer-tipped, eyeliner brushes which help me achieve a more precise, thinner line. As for the cream eyeliner itself, I simply can't rave enough about it. I love it. I admit, I was a bit worried that this cream eyeliner would disappoint but, this eyeliner definitely lives up to the hype. The consistency is smooth, creamy, and it applies like a dream. I love that the color is so rich and pigmented, also. I only needed one layer to achieve dramatic color results. As for lasting power, it did not disappoint in that department, either. I found that it held on all day. No touch-ups were needed, and I saw no signs of smudging, nor fading. I have only had this cream eyeliner for about a month now and, the consistency is still as smooth as ever. 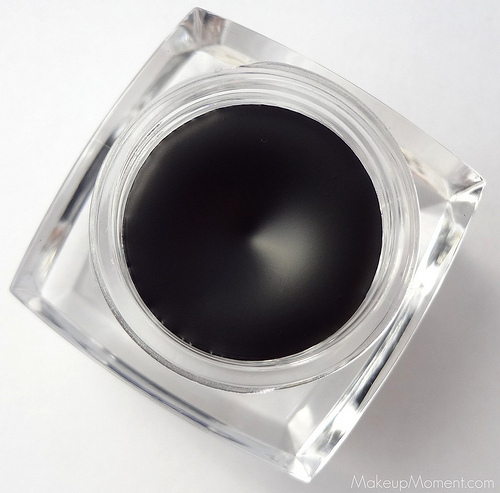 Seeing as cream eyeliners tend to dry out often, I really hope the liner does not dry out in the jar, in the months to come. But if, and/or when it does, I will be sure to update this post and let you all know. 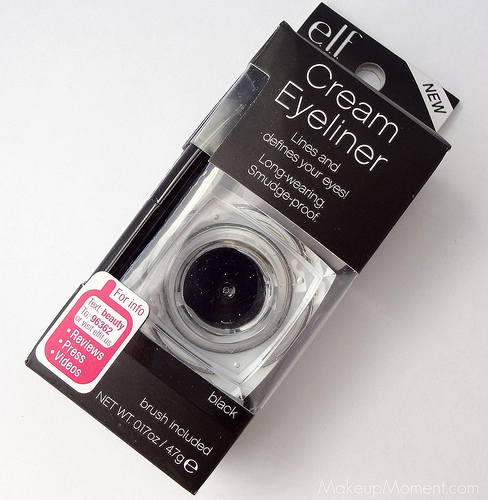 Overall, if you are on the lookout for a cream eyeliner that performs well, is long lasting, and is affordable, don't hesitate picking this one up. I am already looking forward to trying out the other color options available! 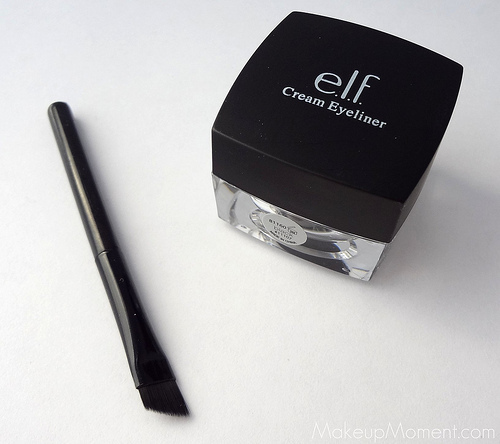 Have any of you tried this cream eyeliner from E.L.F.? Which are your favorite affordable cream eyeliners? Have you tried this on the waterline? I have one and have used it on my lid but not my waterline. Looks like a great eyeliner! I haven't tried this one, I did try the one by Wet n Wild and I really liked it. I awarded you with the Blogger Appreciation Award! I LOVE this stuff and the majority of E.L.F. 's products! You can't go wrong with cheap stuff that works! I also have this and love it! Great pictures :) Followed your blog!